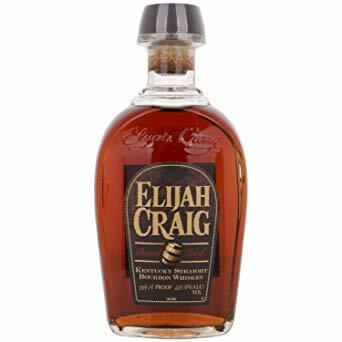 Each batch of Elijah Craig Barrel Proof is an uncut Small Batch of 12-year-old Bourbon bottled straight from the barrel. The variance in proof from batch to batch presents a unique opportunity to explore the impact of the angel's share and the resulting proof in a small batch of barrels. The first letter of the batch number indicates which of that year's releases the bottle was a part of, starting with "A," while the second digit is a number that determines the month of the year the bottle was released. Nose: Caramel with toasted oak, fruit notes of apple and orange. Palate: Rich vanilla, caramel, and butterscotch along with spices of black pepper & cinnamon at the back of the palate. Finish: Nicely layered showcasing all flavours, fades slowly then lingers as it cools.